Preheat oven to 350 degrees. Melt butter until completely in liquid form. Beat butter and sugars in stand mixer until creamy. Add the vanilla and egg; beat on low speed until just incorporated. Add the flour, baking soda, and salt. Mix until dough forms. Add chocolate chips and stir in with spatula. 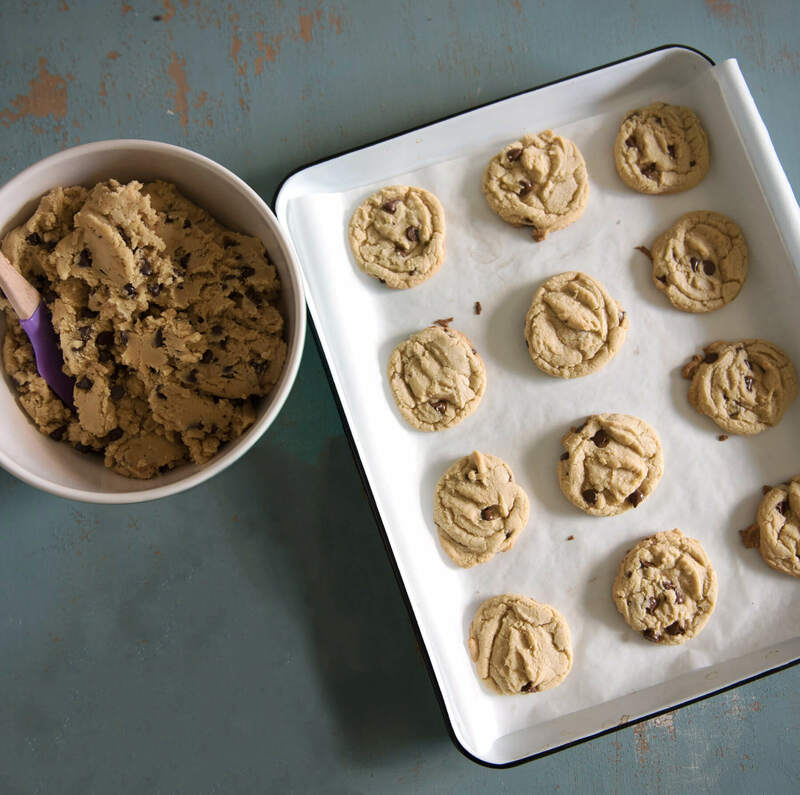 Form balls of dough, either with a cookie scoop or your hands and place on baking sheet lined with parchment paper. Bake for 9-11 minutes until cookies start to get golden brown. It is important not to over bake them. Let them cool on the pan for a few minutes before moving them to a cooling rack. 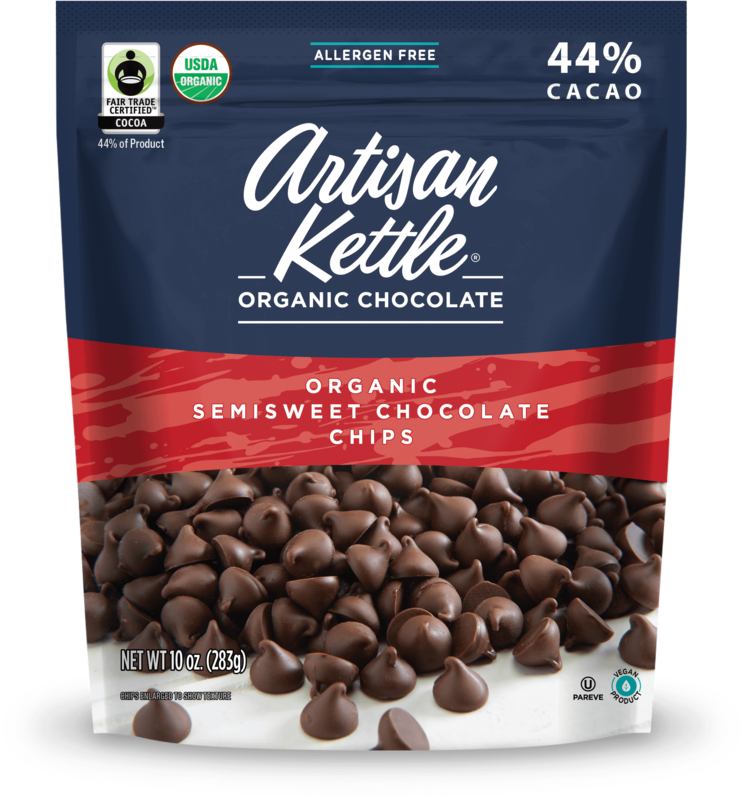 Try Artisan Kettle chocolate today.